Ugh* I am home sick today. I have been feeling yucky all week but powering through- getting up, heading to school, immediately coming home and falling right to sleep! I finally decided that I might just need to take a day. Luckily for me, my favorite sub was already in the building yesterday so I just ran over and asked her if she was busy- she wasn't- and I showed her quickly what to do and I didn't even have to write sub plans! Wooohooo! 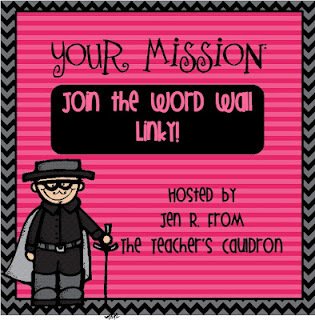 I have been meaning to join the Word Wall Linky hosted by Jen over at The Teacher's Cauldron but as I said, I've been sleeping too much! Now that I am home resting, I finally have the chance to link up! 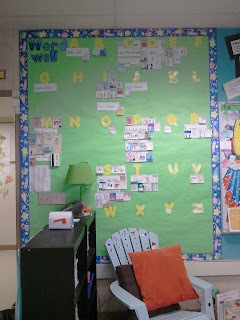 This is the full shot of my word wall. 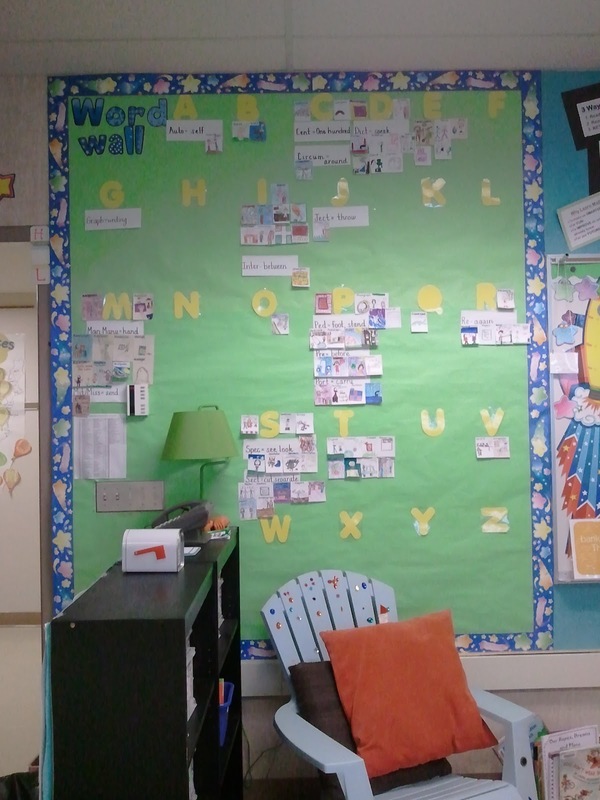 I like that I have everything I need posted BUT it makes it difficult for the kids to physically work with the words once they are posted. I need a ladder to reach the top row! 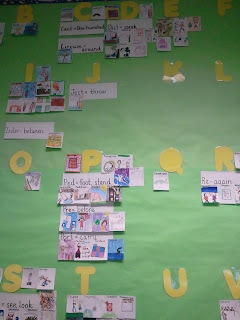 This word wall is using a new strategy (for me) this year. 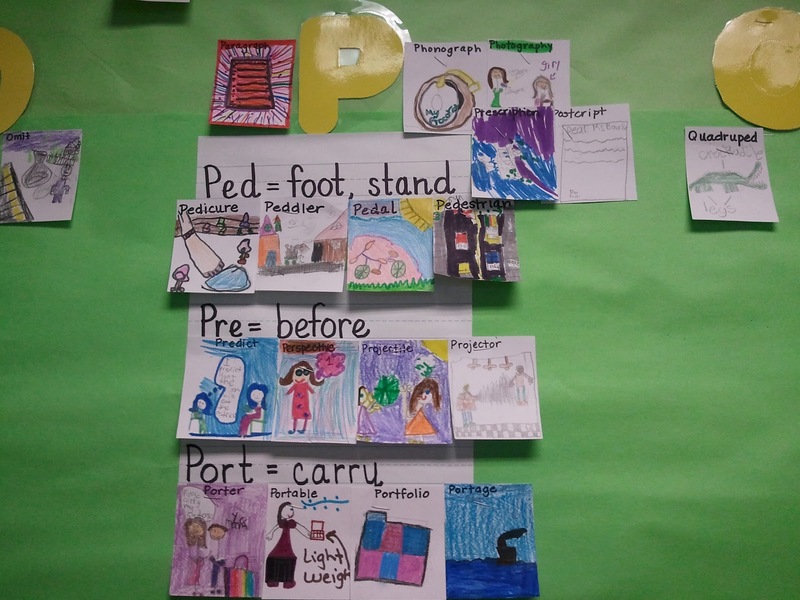 I post the greek/latin root and meaning and then the kiddos create the word wall cards with the specific words we study. Here is a closer view! While studying a greek/latin root (1 per week) we focus on 10/11 words that use that root. So we have duplicates of some of the cards. 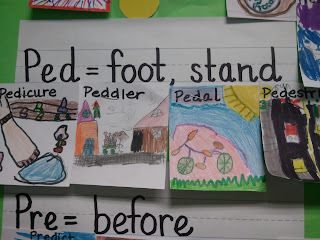 We look at all of the cards and then vote on the ones that will truly help us remember what the word/root means. 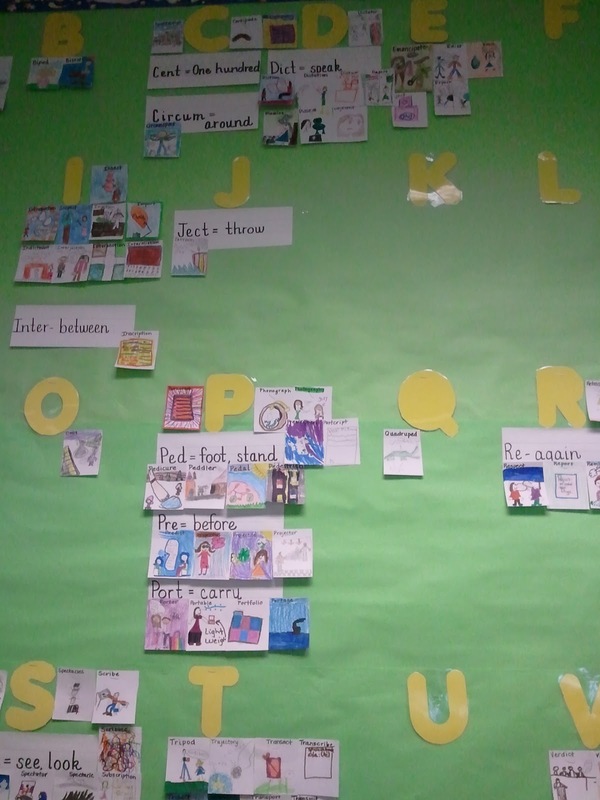 During the week the kids use wordle to create word clouds of the root words, they search for other words that use the root we are studying, and they write sentences using the words. It is fairly basic because this is the first year I have tried anything like this. As a building we decided to focus on greek and latin roots in 4th and 5th grade but I joined the 4th and 5th grade teams with the 3rd graders so that next year we could continue to build. Here are some of the resources I used to help me get started! love the drawings!!! and I love wordle too! I just came by to visit via Tammy at Forever in First. I'm still a little teared up from her kiddos Mother's Day Poems. I am your newest follower. I love the root word wall idea. Please stop by and visit. I am having a Thirty-One Organizing Tote giveaway for reaching 100 followers. I would love to have you enter. 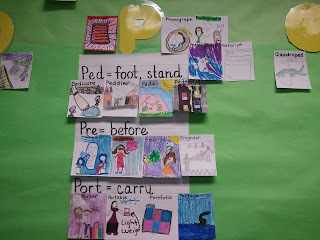 Where exactly did you get your list of greek/latin roots to use for your word wall? 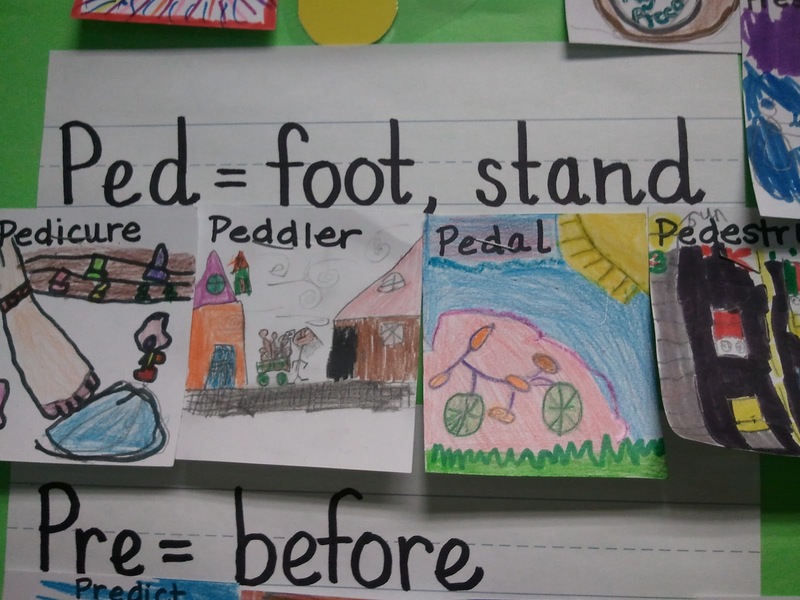 I teach third grade and want to do something similar. Thanks! !